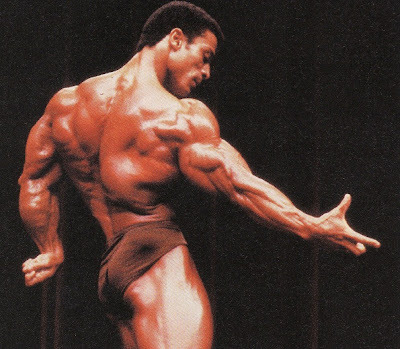 "I have just read your article on bodybuilding.com regarding the pyramid training. I've been lifting for about 6 months now. I still consider myself a newbie and am strongly considering using your workout plan. "I have a few questions: If I am trying to put on size (bulk) would this be a good regimen to follow? If so, Should I stop doing deadlifts? I am 6'3, and deadlifts are VERY hard for me to do. I usually do 3/4 deadlifts. I really appreciate any input you have towards my quest in bulking this winter. It's been hard to figure what to do. It gets really frustrating not seeing the gains that I had hoped for. Thanks again." Q: "Hey, my name is Jessica. I just came across your website and saw your email on it. I hope I'm not bothering. I just had a few questions I hope you don't mind answering for me. "Well, basically I'm 18, and I'm still in high school, almost done. My plan after high school is to go to college and become a police officer. I'm 5'5", and I weigh about 220. I know, that's very bad! "I recently started a diet, because I know in order to become a police officer you must be fit in order to pass the fitness test. I live in NYC, and I was wondering if the fitness test is different in different places, and if it would be possible to find a personal trainer to help me train for that fitness test?" Q:I hope I caught your attention with the subject heading, and you did not proceed to jab at the delete button. First off, I just want to thank you for your Strength and Physique Volumes One and Two. I believe your books work, because you are catering to the crowd who unabashedly train for mainly aesthetic reasons. Unlike the ridiculous Men's Health workouts, your methods/principles simply work. I am a medical student and the fact of the matter is that patients unconsciously trust fit doctors. Also, as a young man, I'm still very much interested in impressing the ladies. That being said, what are your opinions on performing high intensity interval cardio during the decompression weeks? I understand that the weeks are purposely less intense and so will the cardio take away from the results? I just can't stomach the idea of non-intense exercise. I remember talking to an FBI investigator at a cafe, and she related how every morning she'd arrive at the federal building and take the elevator up. There'd be other federal employees, of course, some FBI agents and investigators and some from "other agencies." For the longest while she couldn't figure out who these people from this other agency were. They would always exit the floor after the FBI floors, and these higher floors were restricted and unmarked. One thing she noticed about these federal employees was that they were bigger and more built than the usual FBI special agents. She figured out later that these people she rode the elevator with were DEA agents. 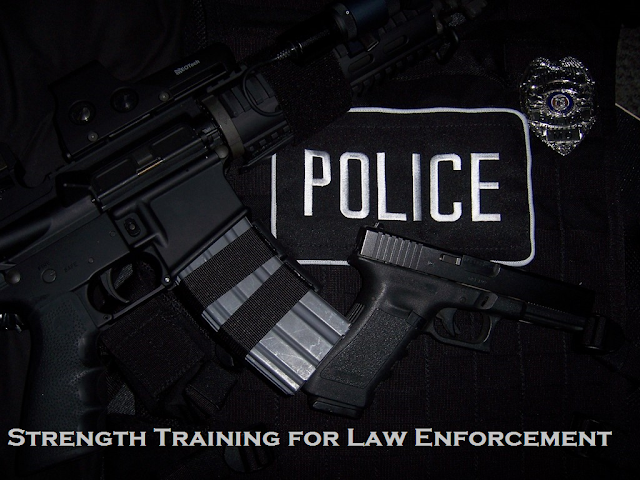 Of all the law enforcement agencies, the DEA deals with some of the most dangerous assignments. You're dealing with drug dealers with weapons. Needless to say: very bad and very dangerous people. "I found your blog from an article you wrote about the bench press. I have a question about the Guillotine press which you recommend as a better alternative to the normal-style bench press for building mass. "In one of the diagrams in your article, it shows a drawing of someone doing the guillotine press with his feet up on the end of the bench. Is this correct? "Most weight training magazines, and personal trainers, have drummed it into me that your feet should be flat on the floor for bench presses, so I’m a bit confused as to which is the best/safest way. Also, with the guillotine, do you recommend keeping the shoulder blades squeezed together, and also keeping your lower back with a slight curve (i.e. 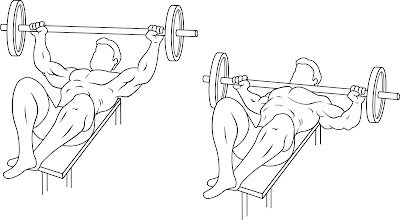 slightly off the bench), or should you try to flatten it out on the bench? Q:I am a college student beginning to gain interest in bodybuilding as a sport. I am legally blind, so it is a good sport for me to feel competitive but also stay safe. I read your article, Wingspan Workouts on Bodybuilding.com. It was a very good, no nonsense workout that gave me a good burn. Do you have any other tips for someone just starting out? My biggest problem is losing body fat and gaining muscle. It seems really hard to do both at the same time. Thank you for any advice you can offer. My Answer: Well, if you're serious about becoming a competitive bodybuilder, then you'll need someone to visually assess not just exercise form, but also how your physique looks overall. You'll need someone who knows the bodybuilding aesthetic and can help you bring up lagging body parts. If you're serious about competitive bodybuilding, then you'll need the guidance of a good trainer specializing in bodybuilding, which is very hard to find. Q: I got Volume 2 from Amazon.com the other day, and it looks great. I have questions about two of the exercises you list. 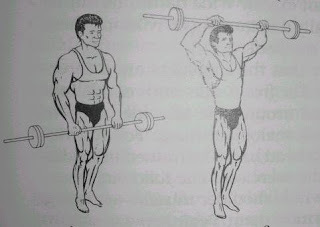 In the Insulin/Testosterone pump and pre-stretch exercise list, you include 'barbell high pulls' for the deltoids. I understand high pulls to be a power clean without catching the barbell at the top: an exercise where you use a clean grip and start either on the floor or from a hang and explosively pull the bar to chest level or so. Is that the exercise you mean? I never thought of that as a pump and pre-stretch movement. Also, is the Gironda swing lateral the movement where one arm goes out to the side and the other crosses the body at the same time? If so, that's a great exercise. Q: I just read your article at Bodybuilding.com about back exercises. Now I've noticed that almost every routine out there requires or suggests pull-ups. While I understand the importance and what you can gain from performing pull-ups, I myself do not have the strength to incorporate them into my own routine. What do you suggest I do to gain the strength to do so? I feel that maybe it is a matter of me losing more weight? But what else is there to do beside that? Thank you in advance for any advice, and I do appreciate your time.